* Avon Aquatic Facility (36265 Detroit Rd) -- School shuttle busses running every 10 minutes between 3:00 and 8:00 PM. Busses pick-up and drop-off at the Aquatic Facility (36265 Detroit Rd) and in the municipal parking lot directly behind the Avon Senior Center (36784 Detroit Rd). Download flyer PDF to share on social media. Santa has reserved time exclusively for families with kids with special needs. 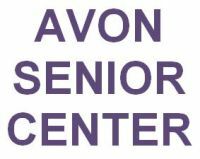 1:30 - 3:30 PM — Santa will be at the Avon Senior Center (36784 Detroit Rd). The building is wheelchair accessible and activities will be available while you wait to have your family's time with Santa. Space is limited, so please sign-up using this link to Sign Up Genius (http://bit.ly/AvonSanta). 3:30-5:00 PM — Activities, Games and Treats; Meet Fairytale Characters & Stomper too! 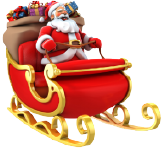 5:00-5:15 PM — Santa's Parade thru Olde Avon Village to the Avon Municipal Lot. Follow him! 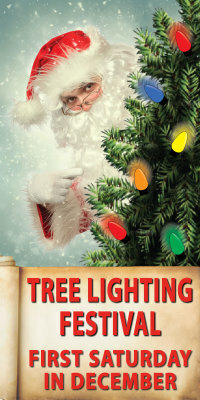 To enter the "Ride with Santa" contest, download the contest form then "write to Santa" letting him know that you would like to ride with him to the Tree Lighting Festival and help him light the holiday decorations. Parents, complete and sign the bottom of the form, then mail it to French Creek Foundation, P.O. Box 111, Avon, OH 44011, **OR** drop-off the form at Wealth Health, LLC, 35651 Detroit Road, Avon. Children who are 3 to 14 years old prior to December 31, 2018, may enter the contest. One entry per child. Contest forms must be received by Monday, November 19, 2018, at 5:00 PM. A winner will be selected from the letters received. The winner and their parent or guardian will be notified the week of November 26th. On December 1st, at 5:00 PM, the winner will ride with Santa in his carriage and help him light the decorations at the Tree Lighting Ceremony. 1:00 - 2:00 PM — Drop-Off Entries in the Activities Tent at the Festival. 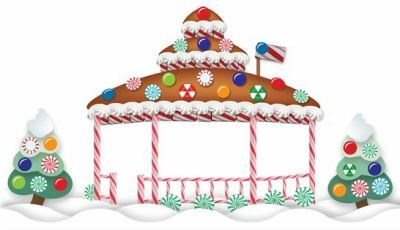 5:00 - 7:00 PM — Gingerbread Houses available for viewing. The generosity of our sponsors helps ensure the success of this fun-filled, family-oriented Festival. 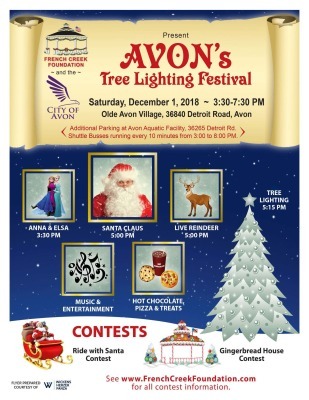 We hope you will take a moment to look over the sponsorship opportunitites and help bring the magic of the season to Avon. 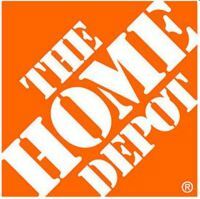 Thank you sponsors for your generosity and support!